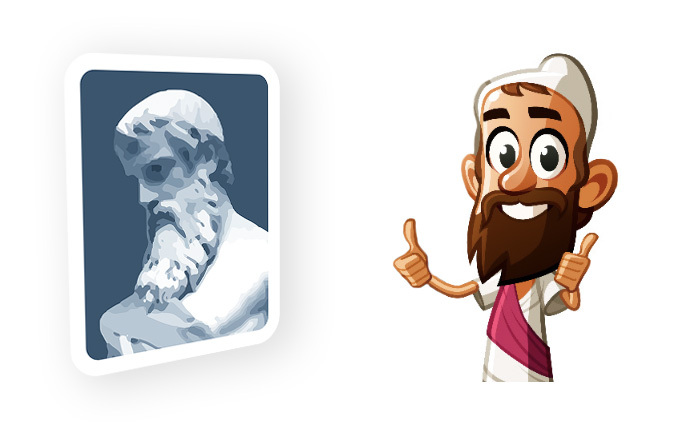 Travel to ancient Greece and use your knowledge to help the mathematician Eratosthenes. 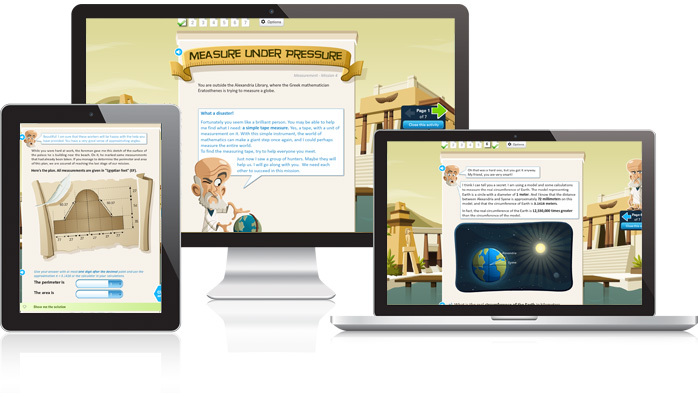 The students find themselves outside the Library of Alexandria, where the Greek mathematician Eratosthenes is trying to measure a globe. They are seeking a measuring tape, a device with units of measurement on it. With this simple instrument, the world of mathematics can take another giant step and Eratosthenes could perhaps measure the entire world! To complete this mission, students will have to calculate perimeters, areas, circumferences, and distances.